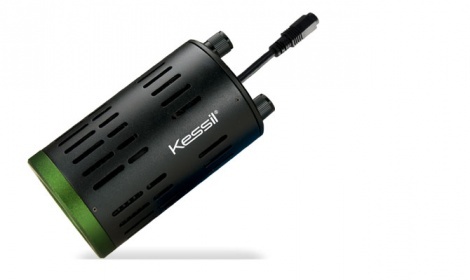 If you want premium lighting for your aqua-scaping, then there is no going past the Kessil A160WE Tuna Sun. The 'double-peak' colour spectrum improves plant colour and growth with the bulbs that have been specifically tailored to meet an aquarist needs. Patented Dense Matrix LED technology ensures the best depth penetration without sacrificing coverage or colour mixing blends. Dimensions - 4" x 2.48"